We have front suspension Mountain Bikes available for rent in Stellenbosch and can be rented per hour or per day. We offer front suspension Mountain Bikes for our bike rental, helmet, lock and puncture repair kit included with the rental. We can also suggest some beautiful scenic routes through historic Stellenbosch, cycling past some Wine Estates on your way to Jonkershoek Nature Reserve on a winding road through oak and poplar forests. The reserve is also a Unesco world heritage site and well worth a visit. Most of Stellenbosch town has a lenient gradient for easy cycling. 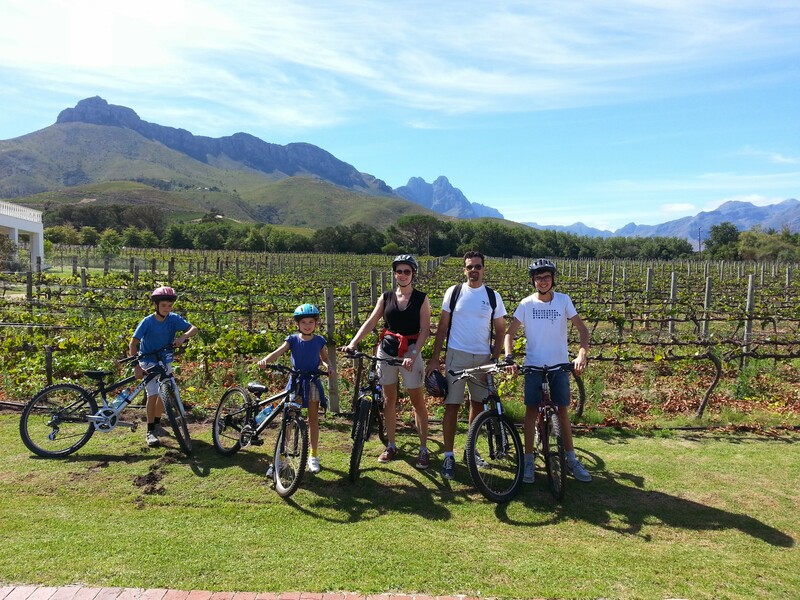 A wonderful way to explore the beautiful oak tree lined town of Stellenbosch. Rentals are from our offices or can be delivered to your guesthouse or wine estate. Cost is R 280 per day bike rental or R 90 per hour per bike.